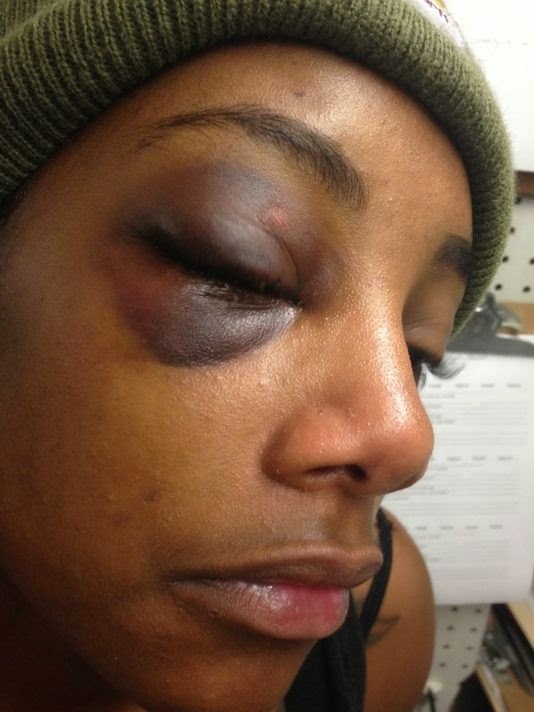 BHR Hollywood Reports.......A Black woman who was punched in the face by a Seattle police officer as she was arrested on suspicion of domestic violence has filed a $1 million lawsuit against the city. She says her rights were violated. Miyekko Durden-Bosley, 23, suffered a fractured eye socket. In the video, Durden-Bosley can be seen kicking at the head of officer Adley Shepherd, who also is Black, as she is handcuffed and placed in the patrol car. He then draws back and punches her in the face after accusing her of kicking him. The lawsuit names both the city of Seattle and Shepherd and argues that Durden-Bosley was assaulted and falsely arrested. It also contends that officer Shepherd received inadequate training.